South Africans may be paying more for sugary drinks if a proposed sugar tax is introduced. Will the implications be as far reaching as the soft drink industry claims? AFRICA CHECK investigated. The South African government has its eye on sweet-toothed citizens. Finance minister Pravin Gordhan announced a proposed tax on sugar-sweetened drinks in his February 2016 budget speech. The comment period closed last week and the tax is planned to be in effect from 1 April 2017. The tax has been described as “murderous” by the chairman of Coca-Cola Beverages Africa, Phil Gutsche. The Beverages Association of South Africa, a membership-based industry body representing the interests of non-alcoholic beverage manufacturers, claims that the tax is unnecessary and will have far reaching implications. We fact-checked two of their claims contained in the comment document they submitted to Treasury. Sugar-sweetened drinks include soft drinks, sugar-sweetened fruit drinks, sports and energy drinks, vitamin water drinks, sweetened iced teas and lemonades. These drinks have sugar added to them during processing and preparation. Government has proposed that these drinks be taxed at a rate of 2.29 cents per gram of sugar. This means that drinks with large amounts of added sugar will be more taxed more. A 330 ml can of Fanta Grape contains nearly 10.5 teaspoons of sugar and would be taxed an additional R1. A can of Coca-Cola (just more than 8 teaspoons of sugar) would be taxed R0.80. Drinks which contain natural sugars – like unsweetened milk and 100% fruit juice – would not be taxed. Sugar-sweetened drinks of which the sugar content is not disclosed on the packaging would be taxed at a fixed sugar level of 50 grams per 330 ml. 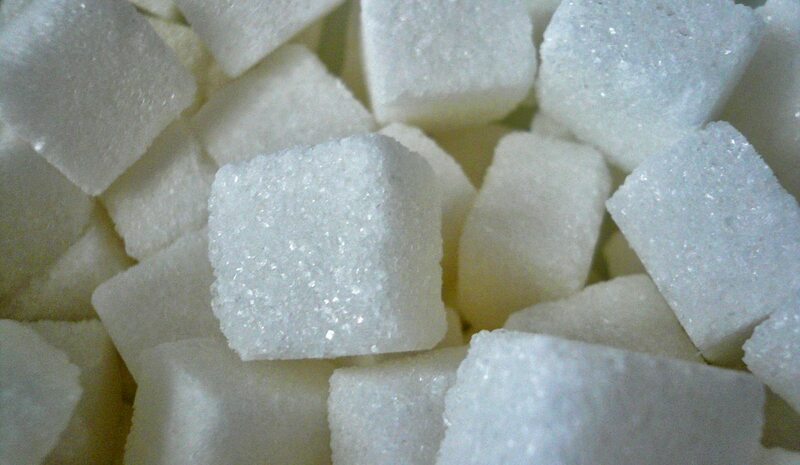 The World Health Organisation recommends that “free sugar” should make up less than 10% (about 12 teaspoons per day) of adults and children’s total energy intake. This includes sugar added to food and drinks and sugar naturally present in honey, syrups, fruit juices and fruit juice concentrates. Reducing your intake to below 5% would provide additional health benefits, the organisation says. “A combination of sources” were used to calculate the figure, according to consultant Karishma Jivan of FTI Consulting, the media consultant for the Beverages Association. “We used the analysis conducted by Manyema Hofman et al… which indicates that average consumption of sugar-sweetened beverages is 184 ml per day,” Jivan told Africa Check. She said this figure was found to be consistent with internal and industry sugar-sweetened drinks sales figures, which are not in the public domain. The study Jivan referred to, published in 2014, used data from the 2012 South African National Health and Nutrition Examination Survey that was conducted by South Africa’s Human Sciences Research Council and the Medical Research Council. One litre of sugar-sweetened drinks was assumed to contain 430 calories. A daily intake of 184 ml would account for approximately 79 calories. This works out to 3.2% of an adult South African man’s recommended diet and 3.9% of an adult South African woman’s recommended diet. “Sugar-sweetened drink calories are not evenly distributed to the population. Some people consume more energy from sugar added drinks than the others, while others do not consume at all,” Mchiza explained. This percentage is not representative of the “average South African”, as claimed by the Beverages Association. People surveyed for the South African National Health and Nutrition Examination Survey were 15 years and older. The study did not include any data on how much sugar-sweetened drinks children under the age of 15 consume. Jivan conceded that the study’s findings only referred to adult South Africans. “Whether [sugar-sweetened drinks] account for 3% or more or less of a child’s daily intake is something we don’t have data on,” she said. There is currently no representative data on how much sugar-sweetened drink children consume. Sugar-sweetened drinks consumption varies between age groups, according to the study. However, the study the Beverages Association based their claim on notes that the estimate may be on the low side. “184 ml is a conservative estimate, and is based on self-reported consumption,” Aviva Tugendhaft, an author of the study and the deputy director of PRICELESS SA, a unit of the Wits School of Public Health that aims to “enable smart decisions about health investments”, told Africa Check. The authors also highlight industry data that suggests the intake of sugar-sweetened drinks could be higher. The Coca-Cola company estimated that South Africans on average consumed 160 ml of their beverages per day in 2011. This estimate – which is almost as high as the study’s total sugar-sweetened drink consumption estimate – excludes the intake of sugar-sweetened drinks produced by other beverage manufacturers, such as Energade, Pepsi, Ceres, Liqui Fruit, Lipton Ice Tea, Coo-ee and Red Bull. This claim was made in the Beverages Association’s submission to treasury, where it links the decrease in sales to job losses. But how did they reach this figure? The Beverages Association told us it is based on a 2016 study by Oxford Economics, paid for by the association. Oxford Economics is an international consulting company that analyses market trends for businesses. The association did not provide us with the study itself or the data it was based on, however. Makgetla explained that according to Beverage SA’s numbers, the production of sugar-sweetened drinks employs around 14,500 people. It claimed that for each person employed directly to produce the beverages, another 20 find work in the value chain. According to Makgetla, Beverage SA said that 3,400 jobs would be lost in the sugar-sweetened drinks production; 25,200 jobs would be lost in “upstream” jobs; 19,200-29,000 jobs in retail and 15,400 job losses directly and indirectly as a result of reduced demand for drinks. Makgetla, who has written a policy brief on the sugar tax, pointed out that the Beverages Association assumed that producers would not shift to producing “healthier, untaxed drinks”, which would result in more jobs. She also added that with the funds raised from the tax, treasury could spend more on other programmes that would result in some jobs being created. This effect of the tax was not considered by the Beverages Association, Makgetla said. Professor Hana Ross, a principal research officer heading up the economics of tobacco control research team within the Southern Africa Labour and Development Research Unit (SALDRU) at the University of Cape Town, made the same point. By reporting gross job losses and not net job losses, the impact of the policy change is exaggerated, Ross said. We asked the Beverages Association if their study had looked at possible gains in other industries. The study did not do so, Karishma Jivan, media consultant for the association, told Africa Check. She said that the study’s focus was on shifts in jobs within the non-alcoholic drinks’ industry but it would not include shifts to other products. So is there a way of working out what the net job losses would look like? Professor Corne van Walbeek, also working at SALDRU, told Africa Check that previous studies looking at this type of question use a “social accounting matrix” (SAM) to work out whether jobs have been lost or gained when there is a shift from one industry to another. Whether there are net job gains or losses depends on how machine-driven (capital intensive) the industry is. For example, cigarette manufacturing is very capital intensive, so relatively few jobs in cigarette manufacturing are lost when there is a real or predicted decrease in smoking. Usually, though, when there is a decrease in cigarette-smoking, people spend more on goods that are more labour-intensive to make, with the net result that there are net gains in jobs, Van Walbeek said. A study looking at the effect of the sugar tax in South Africa by Dr Evan Blecher, affiliated with SALDRU and the Economic and Health Policy Research programme of the American Cancer Society, showed that it is quite likely consumers will switch to other drinks. The study compared the effects of the proposed South African tax to a similar tax on sugar-sweetened drinks that Mexico introduced in 2014. This feature was first published by Africa Check . Researched by Kate Wilkinson and Vinayak Bhardwaj. Photo by Coralie Ferreira, via Flickr.